On this occasion HŽ employees and police officers will be at level crossing in Zlatar Bistrica (near our capital city) and stopping vehicles, warning about necessary attention and observance of signalling fitted at level crossings and handing out promotional flyers. Use of press release related to ILCAD campaign. 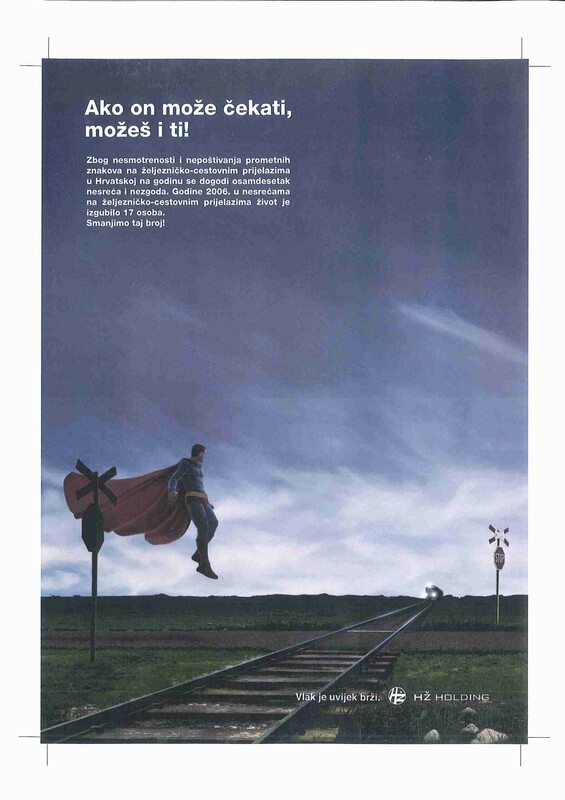 Each year since 2000 we launch an extensive campaigne called „Train is always faster“ through which we try to rise awareness among road users and pedestrians of the fatal risks at level crossings. This year we started our campaign in May.